Have you ever wondered why it is that, when we gather as the church to remember Jesus, we do it with a meal? If you think about it, it could have been anything. We could have built statues to remember Jesus, or held a dance. We could have made it a poetry reading, a teach-in, a weekly golf tournament -- but we didn't. When we gather as the church, our central act together in remembrance of Jesus is to have a meal -- the Eucharistic meal. I know, it doesn't seem like much. I have a friend who likes to say that when he receives one of those communion wafers, he finds it easier to believe that it's really Jesus' body than he finds it trying to believe it's really bread. But this is supposed to be a meal -- a feast, even. An abundant and lavish one, held in remembrance of someone -- Jesus of Nazareth -- who had a reputation for being, as the Irish scholar John Dominic Crossan puts it, "a party animal." We have a feast to remember Jesus, complete with breaking out the wine (which really ought to be our best stuff) before noon on a Sunday, because Jesus was remembered as "a glutton and a drunkard, a friend of tax collectors and sinners" (Matthew 11:19 -- and by the way, I've already lodged with my next of kin that if I have an epitaph of any kind, it's going to be that verse) -- in other words, a party animal. This is not the Jesus a lot of us grew up with, whose hair may have been a little long for our parents' taste, but whose name came up mostly when our parents wanted us to behave, hang out with the right kind of people, behave like the good citizens they may have (rather naively) thought we were. So how could I justify saying that Jesus was well-known as a party animal? For starters, there's Matthew 11:19 and Luke 7:34, the source of that quote I gave earlier calling Jesus "a glutton and a drunkard" in the company of the wrong sort of person. And then there's this Sunday's gospel as a case in point. I know that this isn't what people usually talk about when they talk about the feeding of the five thousand. When people talk about this story, they usually talk about the miracle, by which they mean the multiplication of the loaves. Admittedly, that part of the story is pretty impressive. Not only did God's power produce enough food to feed five thousand people -- not counting the women and children, as Matthew emphatically points out (Matthew 14:21) -- but there were twelve baskets of leftovers. Twelve baskets, like twelve tribes of Israel -- in effect, this story tells us that there was such plenty represented in this feast that there were enough leftovers to fill doggie bags for all of God's people. Truly impressive stuff! But I'm not going to say much more about that miracle of the multiplying loaves because there are a couple of miracles in this story that I think are even more impressive, even more miraculous demonstrations of God's power acting in Jesus' ministry. To set the scene for those, it's important to know that in Jesus' culture, people really took seriously the old maxim that "you are what you eat," and not from a nutritional viewpoint. I'm talking about purity, about keeping kosher. You are what you eat; if you want to be seen as a kosher kind of guy, the right kind of person, you've got to eat the right kind of food. This might initially sound like a fairly simple matter: if it's pork for dinner, you just keep passing the plate. But if you've ever had a serious food allergy -- or if you've ever had a guest who did -- you know just how complicated things can get. Who knew that peanut oil was in some brands of ice cream? If it's really important to you, there are only two ways to be sure that what you're getting is kosher. One is to be in the kitchen, not only hovering over everything on the ingredient list, but making sure beforehand that no surface has been contaminated. The other is dicier: if you know your host family very, very well, and if you know for SURE that they know how to keep their kitchen and what you can and can't eat, you just might be able to trust them to prepare a meal you can safely eat. So there it is: keep a close eye on every ingredient and how it's prepared, or at the very least make absolutely sure that you don't eat with anyone who really knows how to prepare it all AND who really understands how important it is to do it right, and you just might be able to share a meal. NOBODY KNEW WHERE THE FOOD CAME FROM. But that didn't happen. Five thousand people took one guy's word for it -- not a family member, not their best friend, not even someone they knew well, and sat down to eat food when -- I mean this literally -- God only knows where it came from. That's what makes me say that this Jesus wasn't just some guy, and breaking bread with Jesus isn't just a midmorning snack. Jesus is someone who changes lives when we encounter them. Five thousand people -- not counting the women and children -- found their lives so transformed in encountering Jesus that all of their fears of dangers to be avoided gave way to enthusiasm for sharing the feast before them. Think about the kind of trust Jesus must have engendered in people to get that kind of response. That's real, life-changing spiritual power in Jesus' presence, a miracle at least as impressive as the multiplying loaves. But that isn't the end of it. There's one more miracle in this story, and I think it's the most impressive one of all. The first miracle was the one we usually talk about -- the mutiplication of the loaves. The second one was the kind of miraculous trust Jesus inspired in those who came to him, the trust that made everyone there willing to forget about years of "you are what you eat" conditioning to accept bread from Jesus without knowing or asking about where it came from and whether it was safe or kosher. The third miracle is in some ways an extension of the second one, from a rule extended from the rule that the second miracle made moot. In Jesus' culture, it wasn't just "you are what you eat"; it was also "you are who you eat with." Some of that was just a logical extension of purity observance. Imagine the scene of that spontaneous dinner party in this Sunday's gospel, and imagine that you'd just experienced that second miracle of being able to trust Jesus to provide you with food that's good. But Jesus isn't the peanut vendor at the ballpark; he didn't hurl individual portions with miraculous accuracy directly to you. Strangers brought the bread to Jesus, who blessed and broke them ... and handed them to the disciples, who handed them to others in the crowd, who handed them to others, and so on across countless pairs of hands before it got to you. Take that bread, and you're taking into yourself not just whatever was in the field where the wheat was grown and in the kitchen when it was baked, but also what was on the hands of every other person in that crowd. That's reason enough to be skittish about who you eat with, but that's not all. There's also the business of honor, crucial in Jesus' culture. People's perception of how honorable you and your family were determined whether were willing to do business with you, to consider allowing their daughter to marry your son, to acknowledge you as a person worth acknowledging. And "you are who you eat with" was the operative rule that said that your character would be assumed to be the same as that of those you ate with. Eat impure food, and you're impure. Eat with a rebellious son or a tax collector and you're not going to be seen as being any more honorable than they are. But along that hillside, over five thousand people were willing to receive not only Jesus and the bread that he blessed, but also the strangers with whom they shared it. Every one of them became, on that dusty hillside, one with every other. This was a completely spontaneous dinner, so there was no checking the guest list or asking for credentials. Distinctions between Jew and Gentile, slave and free, male and female, priest and tax collector -- indeed, all the distinctions around which wars were fought between nations, families, and brothers -- just didn't count any more. And I'm not just saying that in the kind of naive way that lets a college-educated white person wear a t-shirt that says "Love Sees No Color" because the privilege accorded to her because of the color of her skin means she doesn't have to pay attention to race. I'm talking about that radical force that turns mountains and valleys to plains, bringing down the mighty and raising the lowly. I'm talking about real change, a world in which a child from any neighborhood in Baltimore has the same chance at education, self-esteem, and all of the privileges we so often take for granted as a child from the suburbs. I'm talking about a world in which a child from any village in the Sudan has access to the running water and lights to read by at night that children from across Baltimore take for granted. That's what I'm talking about when I talk about a world in which we experience that third miracle from Jesus' lakeside feast. We have been called to Jesus' table to meet and trust Jesus, to accept all of the gifts offered and blessed by Jesus, and then to take in all that Jesus offers us -- the bread that not only heals and nourishes us as individuals, but binds us indissolubly with everyone whom Jesus calls to the feast. We're called to trust that God's power has blessed us with not only the gifts we need to build up this community, but with the power to see that ALL of God's children are fed. That's what we're doing when we come to this table, and it gives us the strength and courage that we need to be bread for the world, the Body of Christ given for the world. One sermon can't lay out how each one of us is called to live into that mystery, that miracle. It may be in working for racial reconciliation and real empowerment for the poor in Baltimore, banding together with Christians across the city to use the power that privilege gives us to end some of the injustice of white privilege. Perhaps we're called to learn more about what we could do to further Millennium Development Goals, calling on our government to deliver on promises to provide what's needed -- less than ONE percent of our nation's budget -- to end extreme poverty in this generation -- or to Make Trade Fair for farmers in developing countries who aren't allowed to compete on even ground. Of course, that would take a miracle. But we break bread in remembrance of Jesus, who with God's power, with every time he broke bread, and with his life and ministry brought people together in miraculous ways. Five thousand people, not counting the women and children, experienced that miraculous power in the breaking of the bread. In our breaking of the bread at Jesus' table, we are made one with and called out not only for the hungry thousands counted, but for the ones not counted by those in power. This feast is for every woman and child and man, and it's happening NOW. 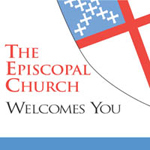 This week is a "twofer" for me -- I'm preaching this Sunday at the 10:30 service at Memorial Episcopal Church in Baltimore, which uses the lectionary from the Episcopal Church's Book of Common Prayer (BCP), and I'm publishing a reflection on the Revised Common Lectionary (RCL) readings (which don't overlap much this week with the BCP lectionary) in The Witness. I'll post a link to the RCL reflection once I see that it's been posted at The Witness' site (which will hopefully happen any minute now! ), and the BCP reflection will be up tomorrow (since I've suddenly got an elsewhere I need to be for the rest of the day and evening today). I've got Live 8 (it's time to Make Poverty History, and for the U.S., to act as ONE!) on the brain today, and with the two sets of sermon material, I feel a little like Phil Collins with his sets in London and Philadelphia for the original Live Aid concerts.